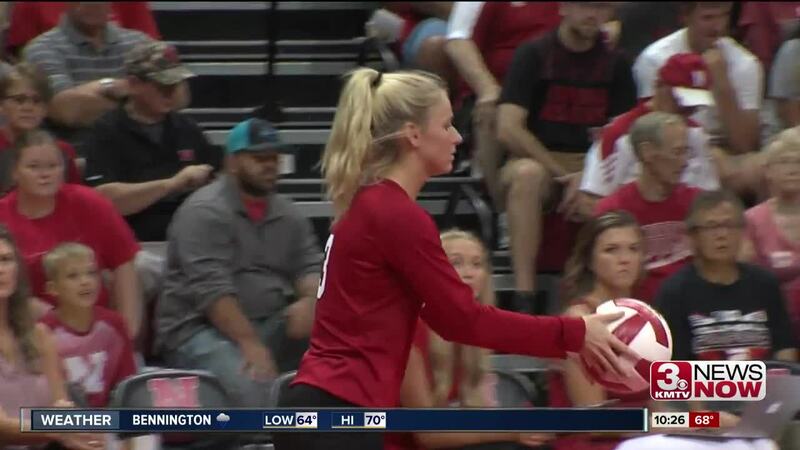 The Nebraska volleyball freshman had an eye-opening experience Saturday as the team played in front of nearly 8,000 fans for the first time in their lives. That number was a little bit more than they were used to playing in front of in high school. "A lot of the freshman and I haven't played in front of a group larger than 50 so it was a really big difference," said freshman middle blocker Callie Schwarzenbach. "But after a few serves I know I got a lot more comfortable and the girls helped with that too and they made us feel a part of the team and once we started playing it was a lot more fun." The freshman will need to adjust quickly. 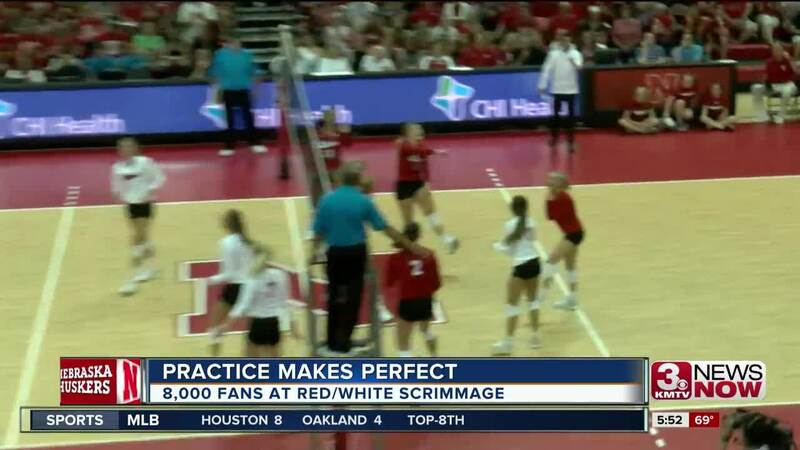 The Huskers volleyball team will be thrown in to the fire right away in 2018 as the team starts its title defense with a championship rematch against Florida as part of the Vert Challenge. Captain Mikaela Foecke said the Red/White scrimmage atmosphere helped the program immensely heading in to week one. "Obviously being in front of 8,000 fans we start to get the jitters a little bit, especially since we had so many newcomers and people who hadn't played in front of that many people," said Foecke. "I think practices have been at a higher level but us having 8,000 fans was a great opportunity for us and it only prepares us more for next week." The Vert Challenge will feature No. 2 Nebraska, No. 3 Texas, No. 7 Florida and No. 18 Oregon.